Making a short term tactical alliance with Islamist jihadists is always a long term strategic blunder. Just ask the advocates of liberal democracy who aligned themselves with Islamic fundamentalists during the Iranian Revolution and the Arab Spring in Egypt. Yet, perhaps the most tragic example came to pass in Mali, where Touareg separatists in the North joined forces with the Al Qaida backed Ansar Dine. When Islamist forces took control of northern Mali they razed ancient cultural and religious sites in the fabled city of Timbuktu and prohibited all forms of music. 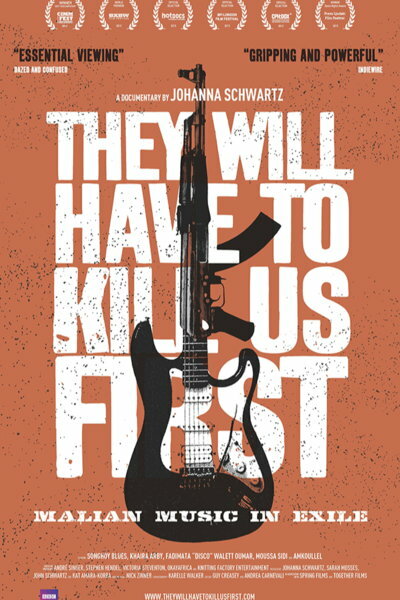 Johanna Schwartz follows several Malian musicians as they try to regain their voices in They Will Have to Kill Us First (trailer here), which opens today in New York. French forces have mostly driven out the jihadists, but you still wouldn’t exactly call the northern regions safe. The government and Touareg rebels have also signed an armistice, but you wouldn’t exactly say the nation is at peace. The national scars from the Sharia-based oppression will run deep for generations to come. Musicians had to renounce their art and livelihoods or suffer the sort horrors depicted in Abderrahmane Sissako’s Oscar-nominated Timbuktu. 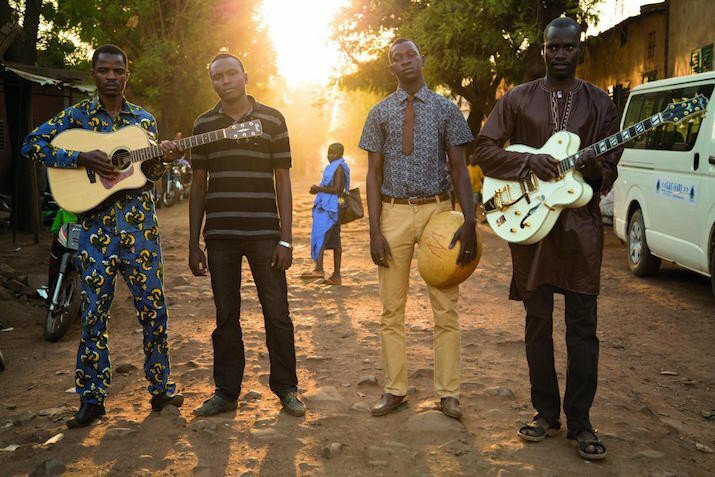 The musicians of Songhoy Blues all originally hailed from the famous northern UNESCO World Heritage City, but they came together as a band while living in Bamako, as exiles in their country. Alarmed by the extent to which Malian music had been silenced, they found a way to express their frustrations through “forbidden” music. Fadimata “Disco” Walett Oumar is also relatively fortunate. She is able to sing quite often with the women’s support groups she organizes in Burkina Faso refugee camps. Khaira Arby also performs somewhat regularly, mostly in private get-togethers, but she will spearhead the first public concert in Timbuktu, in the uncertain days following the fall of Sharia. Sadly, troubadour Moussa Ag Sidi had the most to learn about the realities of Sharia. Aside from complicating his musical calling, he assumed it would have little direct effect on him as a believing Muslim. Then his wife was arrested. There are some telling moments in TWHTKUF, yet it never matches the power of Sissako’s modern masterpiece (but that is admittedly a high standard to be measured against). Frustratingly, the experiences of the Malian musicians remain all too timely, especially as Western legal jurisdictions have started proposing some form of recognition of Sharia authority within immigrant communities. This is an extremely bad idea. Remember how Kevin Bacon couldn’t dance in Footloose? Take that, raise it to the power of a million and add in public beatings and executions. That is what the Malian musicians experienced under Sharia. There is some lovely and groovy music in TWHTKUF, but rather perversely, the doc is not a great showcase for the music (soundtrack available on Knitting Factory Records). Instead, Schwartz seems more interested in capturing a story of women’s empowerment in the face of misogynist oppression. That is certainly a valuable and often inspiring program too, but world music fans would probably still like to hear longer takes of their performances. Regardless, there is more truth in Schwartz’s film than several dozen of the latest documentaries released in theaters, all aggregated together. Chilling and stirring, They Will Have to Kill Us First opens today (3/4) in New York, at the Village East.